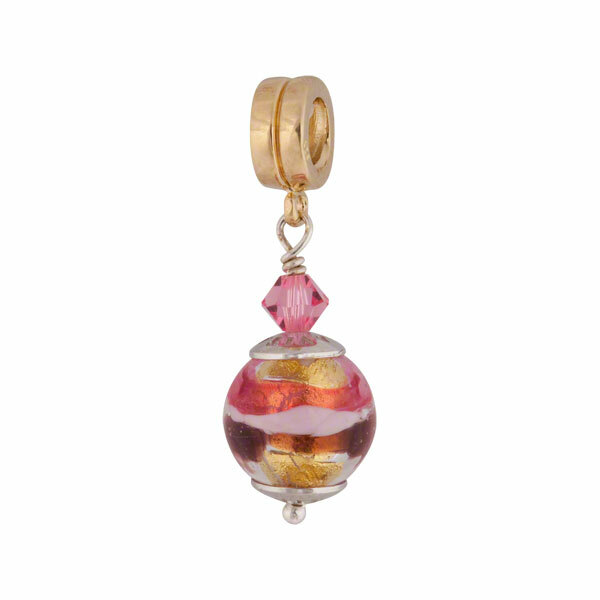 Fascia simply means band or sash, which is the most simple way to describe this vermeil charm with a multi-colored Murano glass bead. The band on this bead is a mix of pink, rubino and amethyst colors over 24kt gold foil, further accented with a single Swarovski crystal. The threaded core on the bail makes this charm compatible with PERLAVITAô jewelry as well as Pandora and Chamilia charms and beads.